IDeAL has this year joined the list of sponsors of the 5th Medical & Veterinary Virus Research Symposium held at The Boma, Nairobi, on 7th & 8th December 2017. 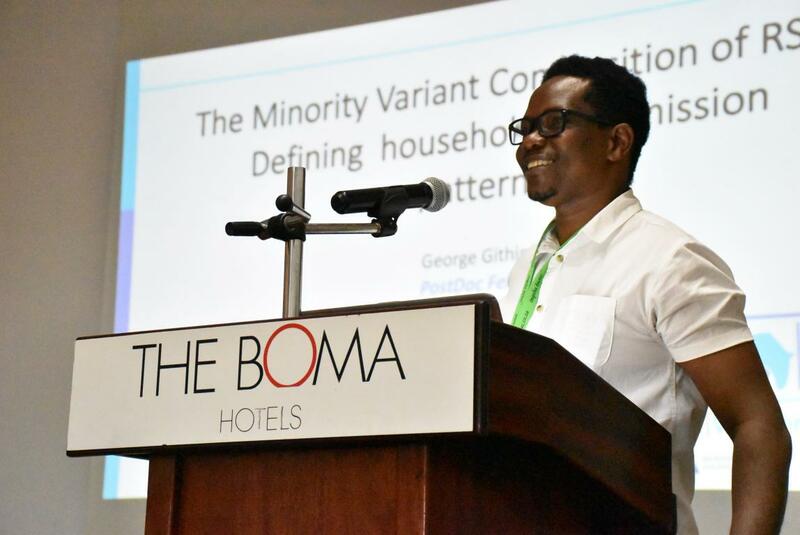 The convention, which has brought together over 100 researchers from different institutions, is this year gearing their discourses around One Health. 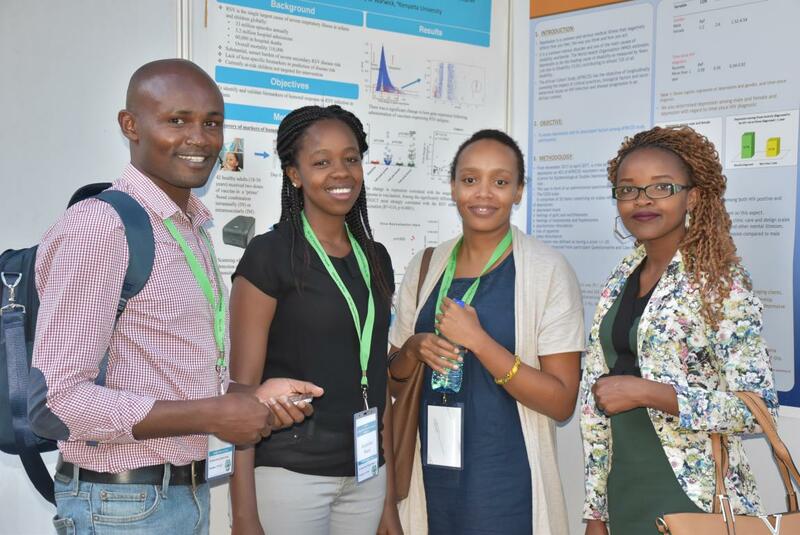 The Symposium is an initiative of 3 world-class research centres in East Africa, KEMRI – Wellcome Trust, Centre for Disease Control – Kenya, and the University of Nairobi, with diverse research programmes of public health including virology. IDeAL is also proud that about 16 of its fellows are either doing poster and oral presentations during the all important meeting. IDeAL Postdoc Fellow, Dr. Githinji, presenting during the symposium. 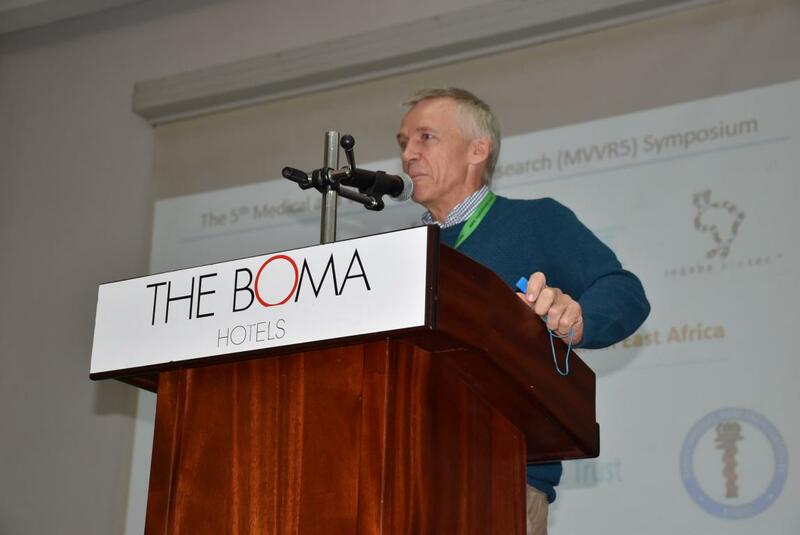 This is the 5th running of the Medical and Veterinary Virus Research Symposium in Kenya (MVVR). It has survived the trials of early years and we hope will go forward to live a long and prosperous life. 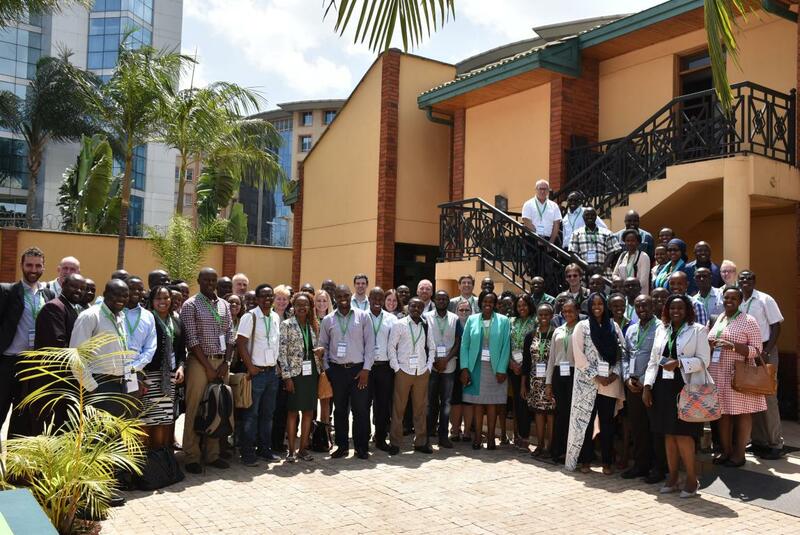 As always, its aim is to bring together those with interest in medical and veterinary viruses, whether basic scientists, epidemiologists, or public and animal health experts from throughout Kenya and increasingly, from the Region in order that they share their widely varied experiences. This year we focus on the area of One Health. This is a much-used term whose definition is difficult to pin down and seemingly varies from person to person. This may reflect some difficulty in understanding the concept, and yet its seems a simple to understand fact that infectious diseases do not exist in a vacuum, but within a complex framework of host population or populations, existing within an environment, where there are inter-relationships at the biological, social and economic levels. As such the approach is necessarily interdisciplinary, not only the preserve of the medic, vet, or epidemiologist, but the demographer, geographer, sociologist, economist, and politician. Hence the definition used by the WHO1 seems apt, ‘One Health is an approach to designing and implementing programmes, policies, legislation and research in which multiple sectors communicate and work together to achieve better public health outcomes’. The notion of One Health is in fact not new, in Ancient Greece Hippocrates recognized the impact of environmental factors on human health, equating public health with a clean environment. Today, however, it has become a significantly more acute and weighty problem, as population size increases with accompanying wildlife encroachment and economic migration associated with urbanization, with increased resource requirements and problems of waste disposal. These lead to current and topical threats of emerging diseases, food security and drug-resistant pathogens. Moreover, in recent years focus has turned to the concept of global health security, and how nowadays a disease threat in one country is a disease threat for all countries. Many of the pathogens of particular concern such as Ebola, MERS and novel influenza viruses are poster children for the importance of including One Health in Public Health. So during this symposium, we encourage participants to look beyond the one pathogen that is our usual focus, to recognise the idea of communities, both at the pathogen level (think virome and microbiome) and host level, of multiple species, where the bigger ecological picture encompasses a wide range of interests, and encourage participant interactions taking the opportunity for discussion and critique, dissemination of findings, cross-talk on ideas, building of collaborations and sharing of resources, in working towards a common goal of improved public and animal health.